Elfyn Evans has the victory taken away from him on the final stage of the rally. We’ve all had 24 hours to reflect on what was a dramatic Tour de Corse Power Stage. 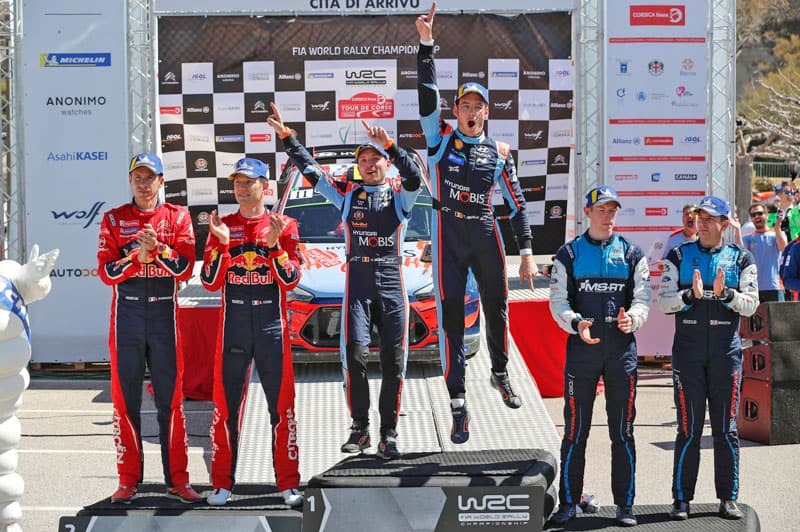 Elfyn Evans had the victory taken from him as his dreams of a second WRC win were ripped from his clutches. The Ford driver, drove a brilliant, consistent rally only to see his 11.5 second lead disappear as quickly as the air from his right front Michelin tyre. Ironic, also, that Evans was presented his third place trophy by a Michelin representative – thanks but no thanks! The benefactor, Thierry Neuville, now leads the championship, and it’s not the first time the cussing Belgian has stolen a win from Evans. It was in Argentina, 2017, when Evans fell heartbreakingly short of Neuville. There’s just something about these two. The Welshman’s performance in Corsica, however, showed his class, speed and composure – particularly on the rally’s penultimate stage. Under immense pressure after losing the lead to Neuville overnight, he responded when his rival could not. He not only smashed his rival but the entire field. This performance, for me, confirms his selection as M-Sport Ford’s number one. It also confirms the quality of the car outside of six-time champion, Sebastien Ogier. 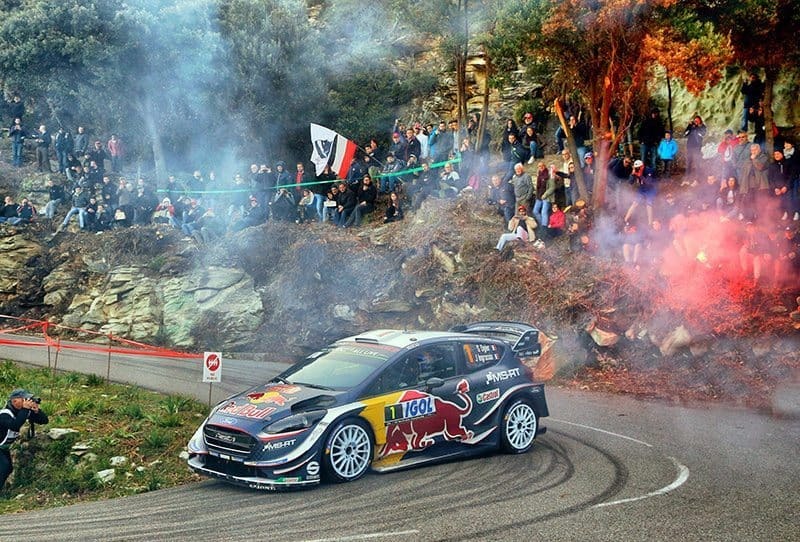 Sebastien Ogier won on the asphalt Corsican roads in 2018. Evans again confirmed the car’s tarmac potential last weekend. I’ll happily fall on my sword and say I didn’t believe Evans deserved his drive in 2019, citing several other drivers’ cases as stronger than his. But his consistent (and fast) start to the season has me swallowing my words. He’s taken more stage wins than any other outside the ‘big three’, and apart from his retirement in Monte Carlo, he has two podiums and a fifth place – not a bad return. Teemu Suninen, his teammate also enjoyed a strong weekend. His goal of no mistakes was successful, and he even managed a fifth place for his efforts. Unfortunately for them and the blisteringly quick tarmac-spec Fiesta, there is no more of the black stuff until late August. The car is good, the team is good. With some strong gravel performances, Evans now looks likely to continue his upward trend in the WRC’s hierarchy, and continue the blue oval’s rally winning ways.